The Dutch and US research, published in the British Medical Journal, found for every 10 IVF cycles with acupuncture, there would be one extra pregnancy. IVF involves fertilising the egg with sperm outside the woman's body then putting the resulting embryo back into the womb. Some couples face repeated expensive attempts to achieve a pregnancy. Acupuncture has been used for centuries in China to regulate female fertility, and in recent years, scientists have been looking at whether it could boost IVF chances. Studies have been mixed, with some showing benefits, and some even showing a reduced chance of conceiving. The latest research, from the VU University in Amsterdam and the University of Maryland School of Medicine, combined the results of seven trials involving 1,366 women in an attempt to provide a clearer picture of the benefits. They found that, looking at all the research together, women who underwent acupuncture were 65% more likely to have a successful embryo transfer compared with those who underwent a "sham" version of the treatment, or no extra treatment at all. In real terms, this would mean that for every 10 women receiving acupuncture, there would be one extra successful embryo transfer. However, many of the studies were conducted in Chinese clinics which had a lower pregnancy rate than the average European clinic. When only the three studies reaching this average – success in 28% of IVF cycles – were included, a different picture emerged. 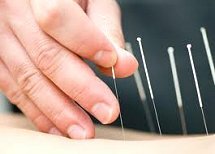 Here, there was no evidence of any extra benefit from acupuncture, suggesting that offering the treatment in Europe might not offer as great, or any, increases in success rates. "IVF may not seem to be "placebo-prone" but it probably is: if women expect it to be helpful they are more relaxed which, in turn, would affect pregnancy rates."